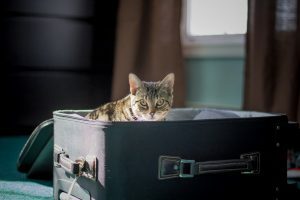 If your pet is traveling outside of North Carolina, you will need to look into Health Certificate requirements. The requirements set forth by each state and country will often vary. Additionally, depending on the form of travel, additional guidance on health certificates may exist (e.g. airline carriers). Take note of whether the health certificate must be performed and signed by a USDA Accredited Veterinarian (Lawndale has several Accredited veterinarians on staff). It is important you look into and understand the requirements prior to bringing your pet in for a health certificate. Additionally, some of these steps could take weeks or months to work through, so start early! ​2. Determine what additional information may be needed by your transportation carrier. 3. If you need help understanding the requirements or interpreting your pets’ specific needs, do not hesitate to contact our staff. 4. Schedule an appointment for the health certificate during the appropriate time frame designated by your destination state/ country and the transportation carrier. Since the paperwork can be extensive, be sure to allow yourself plenty of time for the appointment.